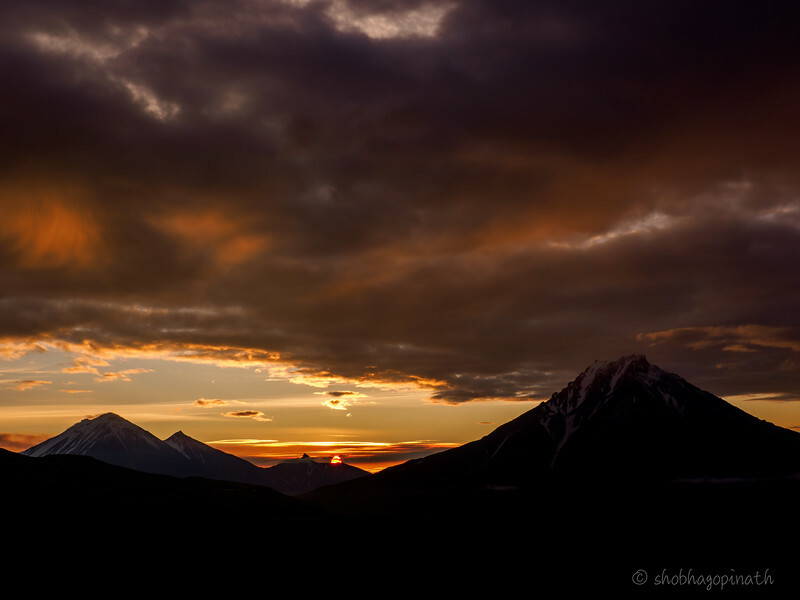 The Kamchatka peninsula lies in the Far East of Russia in the Ring of Fire. You know it because your geography is excellent or you played Risk when you were younger or maybe because you’re a military history buff. 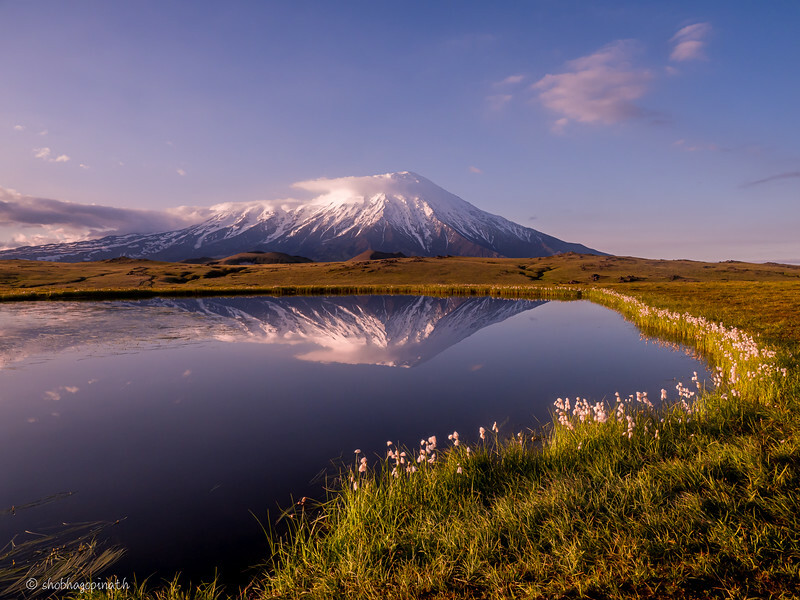 Kamchatka has always been of strategic importance. The entire peninsula was closed to the world as it was a military zone and Russia’s nuclear submarine base. Russia continues to maintain a heavy military presence on the Peninsula and many areas of Kamchatka remain off-limits. Now parts of it are revealed to the world but still seen by few. 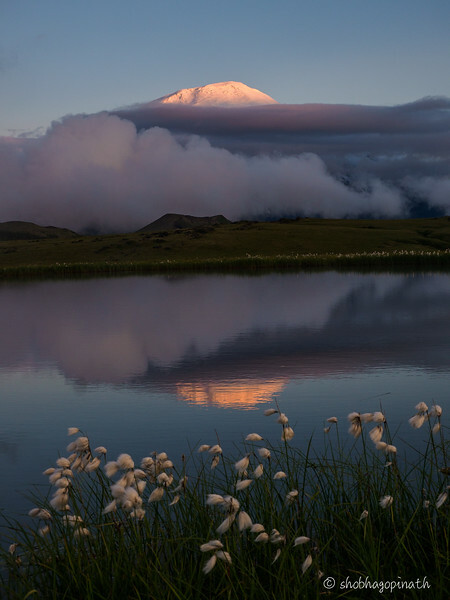 So when I received an email from Oryx Worldwide Photographic Expeditions that they were embarking on an exploratory expedition to Kamchatka, it was not an opportunity I wanted to pass up. Not that military installations interested me but the lure of breathtaking beauty and unique landscapes , volcanoes and brown bears fishing had me hooked. 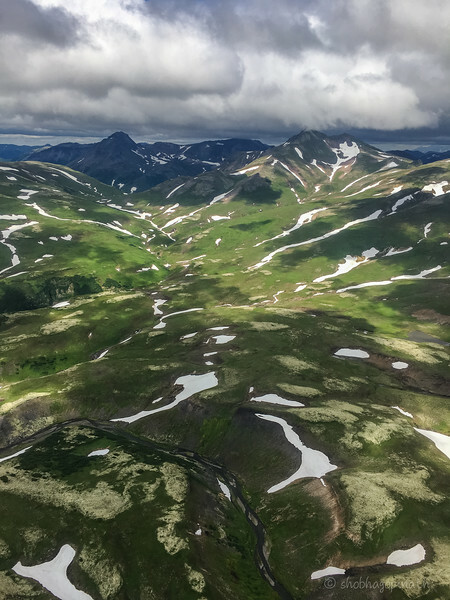 There are no roads or railway connections into Kamchatka. Siberian Airlines or Aeroflot are the main modes of getting there. My chosen route was to fly from Singapore into Hong Kong then to Vladivostok and onto Petropavlovsk-Kamchatky, the capital of Kamchatka. Anticipation and excitement had me smiling throughout the long 18 1/2 hours it took to get there and the grin got even wider as we flew over a volcanic mountain range as we descended. 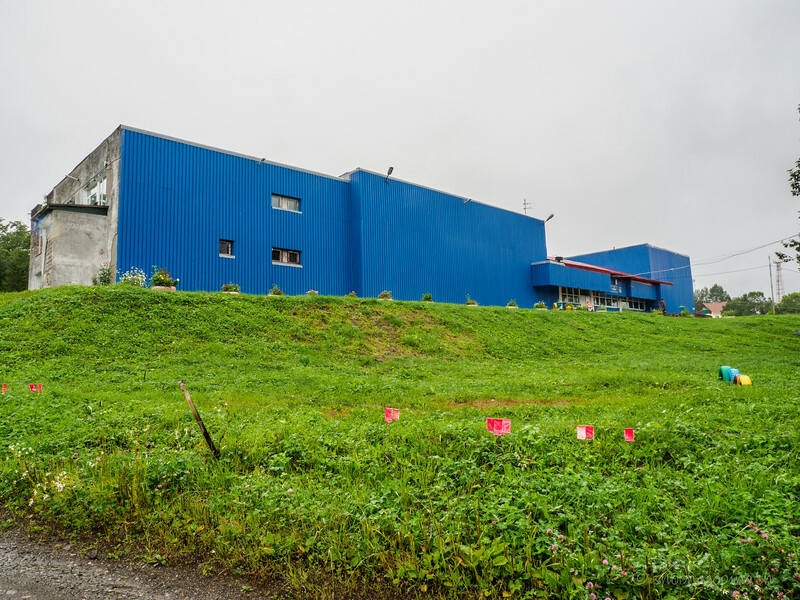 Petropavlovsk-Kamchatky airport was basic, almost makeshift and stood right there on the tarmac. Ours was the only flight that landed that morning but it still took an hour before the first bag appeared. I was met by the lovely Katya, who was our translator for the trip. Today was ‘Arrival day’ and I met up with the rest of the group at the hotel. We were staying out of town in a place called Paratunka. There were 6 of us on this trip, led by Oryx photographer and wildlife fine-art photographer extraordinaire, Penny Robartes. We were a diverse group from all over – Marc from Canada, Wayne from Australia, Pete from NZ, Greg from the U.S., Tina from South Africa and myself. What a wonderful bunch! As you read on, you’ll know that we all got on famously and that made the trip even more memorable. 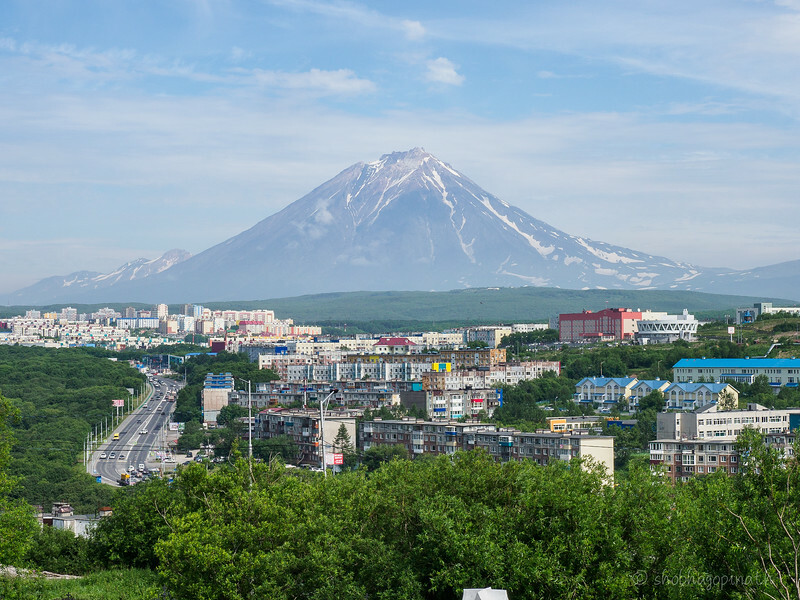 We gathered at the hotel lobby and as our rooms were not ready, we arranged for a whistle-stop tour of Petropavlovsk-Kamchatky. Over dinner we discussed plans. 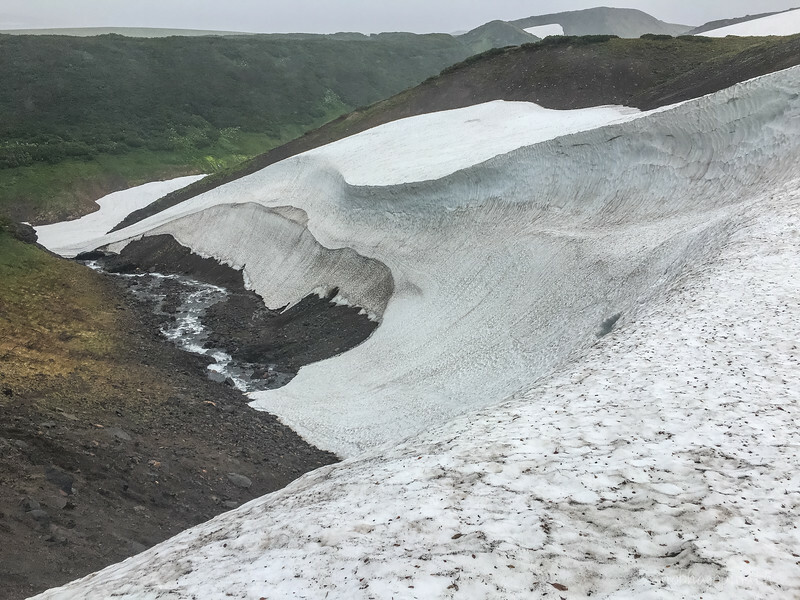 It was to be a trip in 4 parts – we go north to the volcanoes in Kozyrevsk, back to Paratunka, then south to Kuril Lake and bear country, then back for a night and to the Mutnovsky ice-caves and volcanic crater and back again and then to Russkaya Bay for a cruise. 14 days. Our dinner that night at the hotel was quite lovely, the menu was so extensive, we were paralysed by the pages and pages to choose from. Sade’s ‘Sweetest Taboo’ and other familiar songs played as we chatted and tried to name the songs. It was a nice easy-going start. After breakfast, we met our local photography guide, Denis and were shown to our all-terrain truck which we affectionately called ‘Kamaz’. (Kamaz is the name of the vehicle’s manufacturer). It was a beast of a vehicle! We literally had to climb into it, loaded up and were off and away. 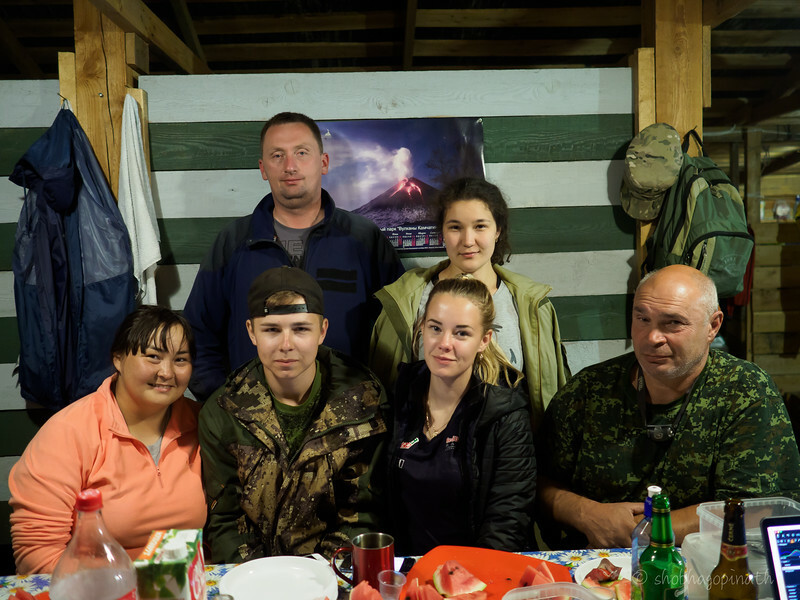 We were joined by the local ground team that consisted of Katya, our cook Gulya and two young assistants, Sasha and Lianne. It was 550km to Kozyrevsk, a journey that took 12 hours. The first 9 hours were smooth (all things being relative) but the last 3 hours were unbelievable. There were no roads as we ploughed through paths in a thick forest and were buffeted about as if in a rodeo. We made a couple of stops – one to stock up on snacks and drinks and the other was a memorable lunch stop at the Cossack village of Milkovo. It was an experience. Lunch was at a place that was a throwback to Soviet days – a canteen which served hot food – you lined up, took a tray, chose your food by pointing and got yelled at if you stepped out of line. The women serving were serious and were not to be trifled with. Humour didn’t seem to be their strong suit and we quickly got in line and followed instructions. By the time we got to our campsite (Base Camp 1) it was late evening but still light. 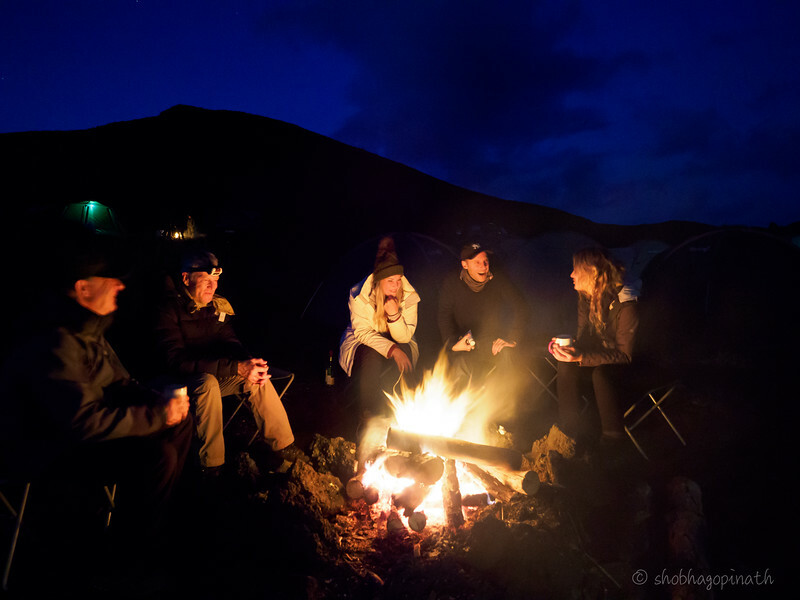 While the ground team set up the tents we got out our photography equipment and staggered around drunk with the beauty around us. We were warned that bears were sighted recently and that we should be loud and make noise to alert the bears and keep them away. I read everything there was to read about how to deal with a brown bear encounter. Ideally, don’t have one. Bears don’t like human company and will avoid you if they are aware of your presence. Surprise them and they will attack. Go near their food, they will attack. Go near their cubs, they will definitely attack. So if you happen to bump into a brown bear, you’re supposed put your hands up in the air and make yourself seem larger than you are (an exercise in futility in my case, no matter how supreme my effort) or play dead. Right. We got some beautiful images that evening with golden light falling on the undulating valley. 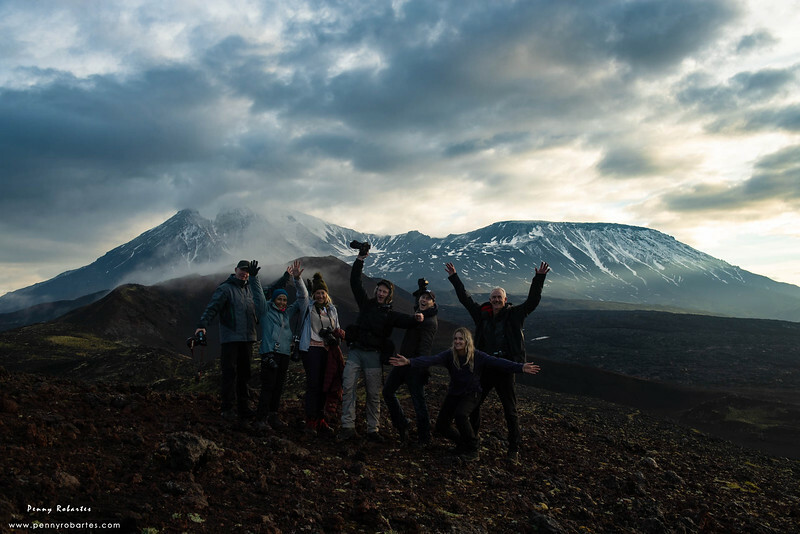 We hiked to get some astounding landscape photographs of the Tolbachik volcano. The terrain was not easy to walk on as the ground was surprisingly soft and as you walked your foot sunk in. 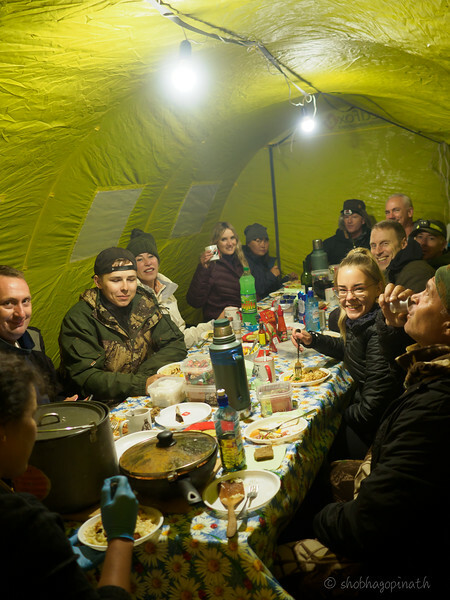 There was great camaraderie at the mess tent (yes, we had a mess tent) over vodkas (to keep warm) and an amazing meal that our cook, Gulya, prepared. She was to amaze us with her culinary skills. How she whipped up these excellent meals in a tent is nothing short of astounding. We discovered to much hilarity that the Russian vodka that we bought was not Russian but Swedish. It kept us warm anyway. Night time temperatures dropped below zero. Despite the vodka, I shivered and froze that night. I made the rookie mistake of not wrapping my head – you lose a lot heat through the top of your head. I wasn’t the only one who froze so I didn’t feel too much of a wuss. The problem was solved on subsequent nights when I slept with a warm beanie on. What a difference that made. It was my first experience sleeping in a tent. I was still grinning and enjoying the experience at this point. (While I have done many things in life, camping wasn’t one of them. I am told that this isn’t considered proper camping either as I hadn’t pitched the tent myself. Blah.) It was unbelievable. 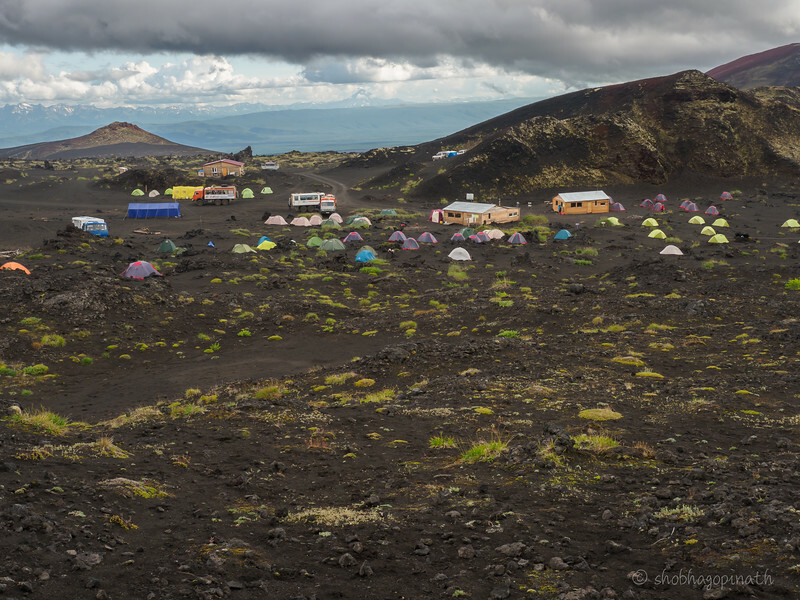 Here we were sleeping in a valley surrounded by active volcanoes. What if one of them decided to have a violent tantrum? And so our first night in the wilderness passed. We were up before 5am for hot coffee and trudged in the early light for sunrise photographs. It was ethereal. Our cameras clicked away with every wisp of cloud that passed. There were those in the group who were professional photographers or at pro-level in skill and were generous with their knowledge. As the sun rose and the golden light faded, we made our way back to camp and a hot breakfast. The weather turned grim and it was cold and cloudy and rainy. We spent the morning hanging around in camp and chatting. We hiked some more in the afternoon when the rain stopped but the ground, which was soft and soggy to start with, was more so after the rain. We explored the area and took lots of photos till the rain started again and it pelted down forcing us to make our slow way back to camp. We were so glad that we had perfect weather the evening before and that morning. 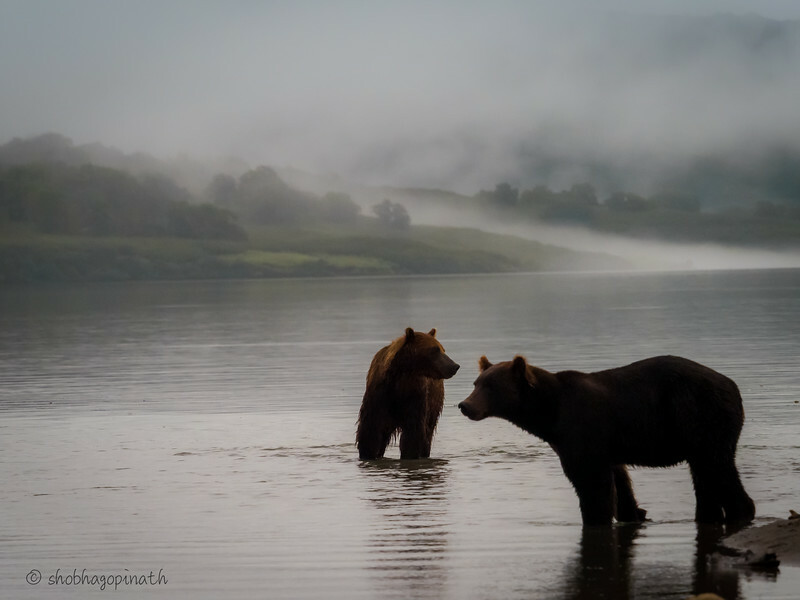 While we were chatting and sitting down for dinner, there was much hullabaloo among the staff and our driver, George, informed us that there was a bear outside our tent. Like crazy people we all rushed out to see and there was indeed a bear on our campsite. 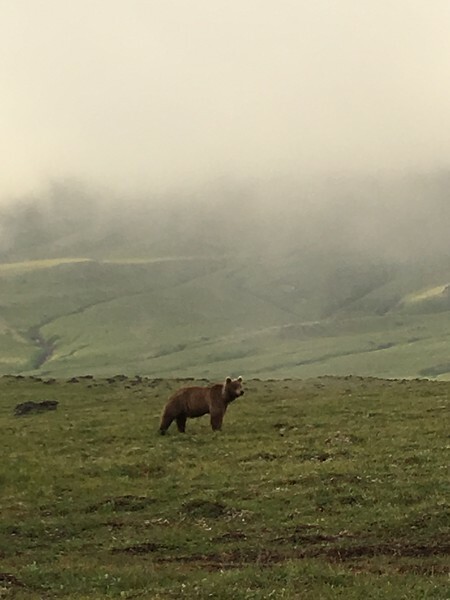 To a collective gasp of surprise, nearly everyone reached for their cameras, I had left mine in my tent and only had my phone with me to take the photo of our first bear sighting. 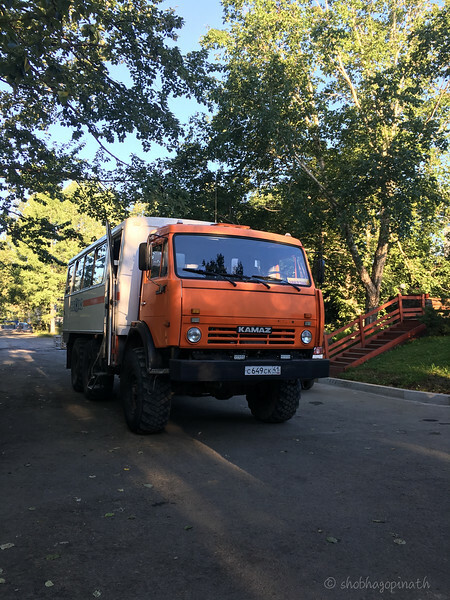 Our driver was a damn brave guy who slowly walked to the Kamaz to retrieve his gun and all the while he kept watching and talking to the bear! I’m sure that must have confused the bear and it sauntered along and disappeared. After the excitement died down, we were terrified that it would make an appearance in the night. That got us worried and we women decided to do things in a gang and not venture out alone for anything! 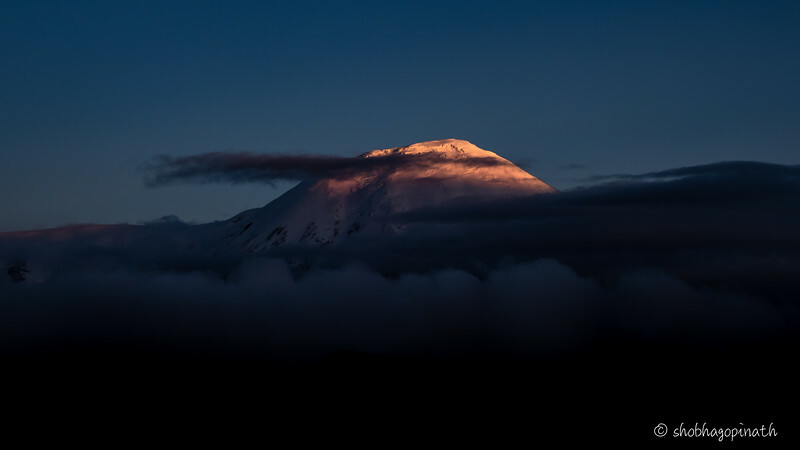 Thankfully, it was an uneventful night and in the morning we packed up and headed to higher altitude to the other side of Mt Tolbachik. An 8 hour drive, we bounced around bucking broco style, stopping at a village to stock up on snacks again. 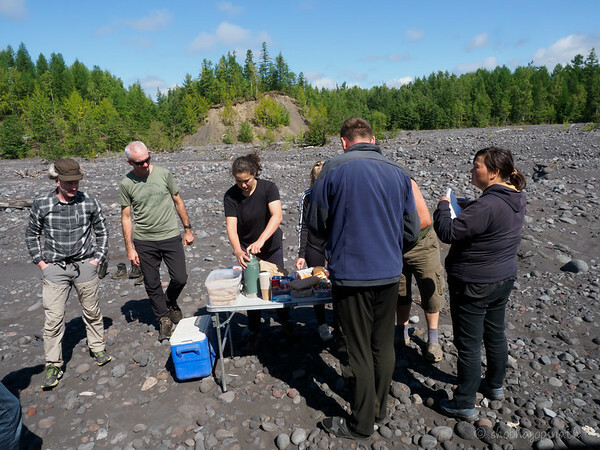 We stopped on a dry river bed for a simple but delicious sandwich and wrap lunch. A word about the mosquitoes – they were big and nasty. They were the size of a small aeroplane and would swarm around us the moment we stepped out. So we would have to spray liberally before comfort breaks or it would be agonising. We found that out the hard way. We reached Base Camp 2 in the evening. This campsite had a log house which had a small kitchen and tables where campers could gather to keep warm and have meals. We climbed a nearby mountain that evening (a mere hill to some) but the view made it all worthwhile. That evening we had a festive time with lots of chatting and laughter. Peter, Tina and I were the stragglers and at about midnight as we stepped out of the log house into the freezing night we were wow-ed by the brilliant night sky. There were shooting stars aplenty. Peter informed us that it was that time of year when shooting stars are prevalent. We decided to try our hand at astro-photography and as we walked in the dark we stumbled onto Marc who had a similar idea. 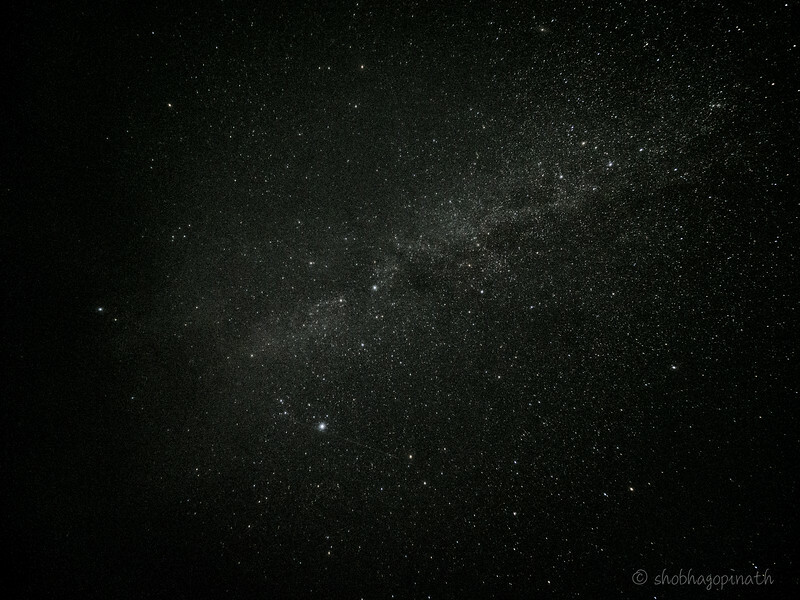 Peter was our tutor, and so it was that I made my first photo of the Milky Way. Not a great shot but I’ll get there. At dawn, we were hiking up again, this time for sunrise photos. The view and photography were brilliant and we stayed imbibing the natural beauty of the place for a while after the sun rose. After breakfast, we drove out to the Dead Forest. In 1975, the Tolbachik erupted. 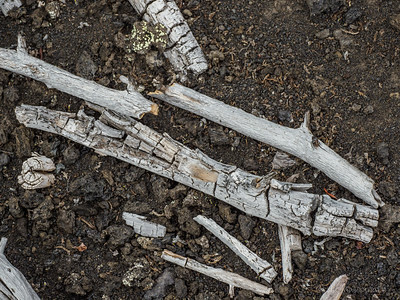 The eruption lasted one and a half years and it destroyed the forest, in fact it destroyed all life in the vicinity. 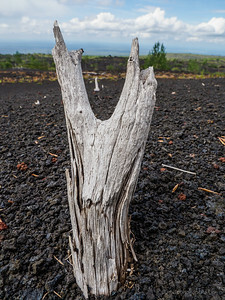 What’s left are large swathes of lava fields and trees almost skeleton-like standing as a mute and haunting reminder of that terrible catastrophe. You almost feel the need to be silent as you walk through this area. 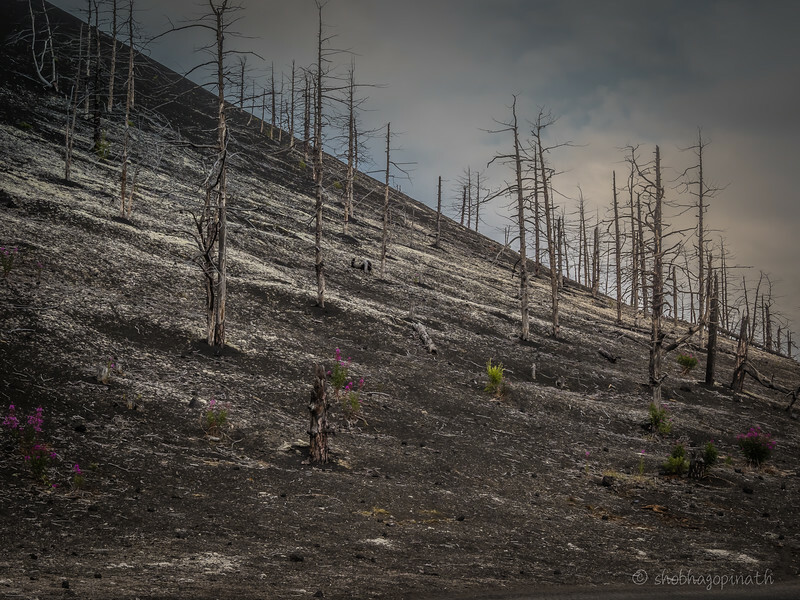 There were signs of renewal and hope and of life beginning again in the form of small flowering plants emerging, forming a stark contrast to the bleakness around it. I had read that Soviet scientists had used the area to test their lunar rovers. Apparently there was a secret test base but it was destroyed in the later 2012 eruption. I am not sure how far this is true but it doesn’t seem too far-fetched. We got back to camp and after lunch, it seemed as if exhaustion from the road trip combined with jet-lag caught up and everyone was in need of rest. So we agreed that we would have a break and rest that afternoon. Most of us were safely ensconced in our tents when it happened. The most thunderous hailstorm began. It pounded relentlessly for 2 hours. To be honest, I was so tired and slept through most of it thinking it was just bloody heavy rain. Hazy thoughts of whether we were vulnerable to lightning strikes crossed my mind as I dozed off in my tent. It wasn’t until I stepped out and saw the whole place covered with hailstones that I realised what it was. Wow. Another first for many of us. There was much animated excitement when we met in the log house for tea. 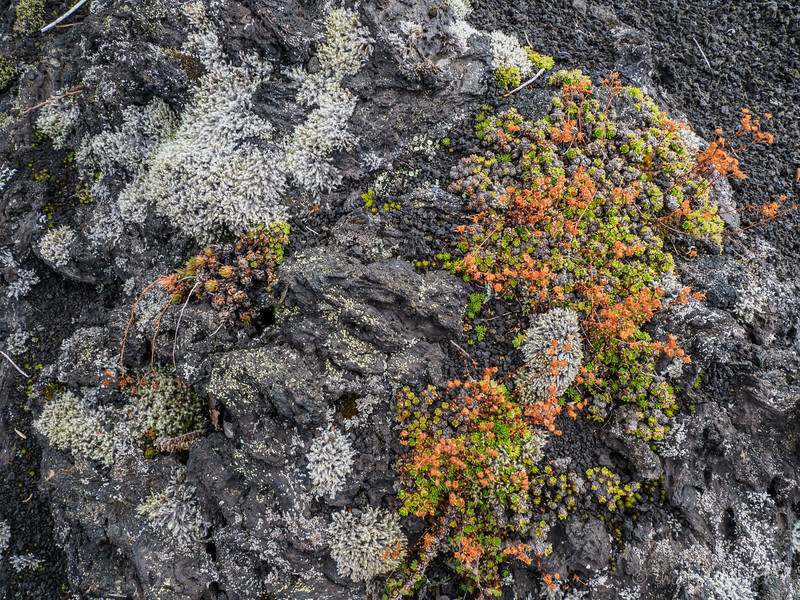 That evening we walked to the lava fields. It was stark and seemed other-worldly. Almost like Mordor. 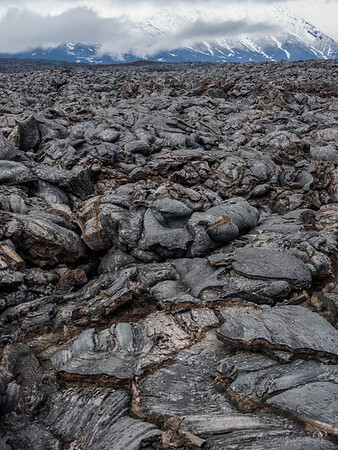 For years the red hot lava could be seen just beneath the surface. 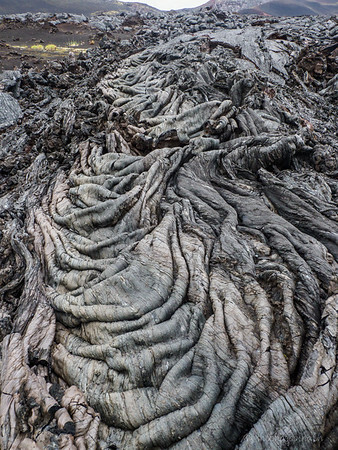 It had cooled down and left vast tracts of interesting patterns, folds and designs. If you looked hard enough you could sees eerie faces in the formations. It was best not to look too hard. After dinner that night, we sat around a fire, keeping warm. Tina found that the frozen hailstones were a good substitute for ice-cubes in our drinks. The next morning we made the long 12-hour journey back to Paratunka, stopping again at Milkovo for lunch. This time we knew the drill and no one was yelled at. Back in the hotel, it was such pleasure to have a long hot shower. Dinner was great and Sade was playing in a loop again. We were ready and waiting by 9am. 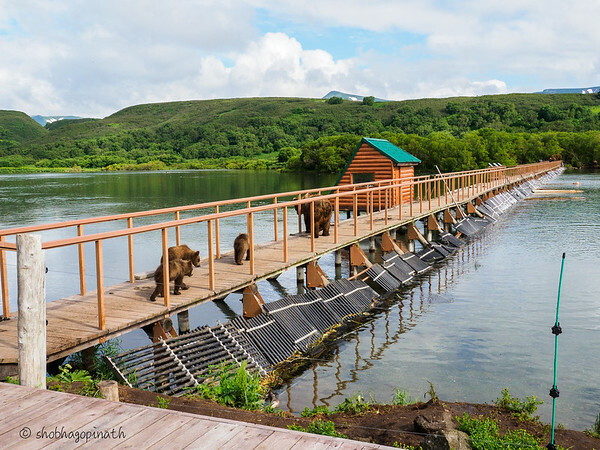 Today we travel by helicopter to the remote Kuril Lake (also spelt as Kurile Lake) and for most of us the main highlight of the trip – brown bears. It was a bit of a wait as we needed confirmation that the weather was clear. Apparently the weather at Kuril was bad and so no helicopters were flying. We hung about and it wasn’t until 1pm that we were finally able to take off. It was a deafening 1 hour by helicopter over vast remote landscape. 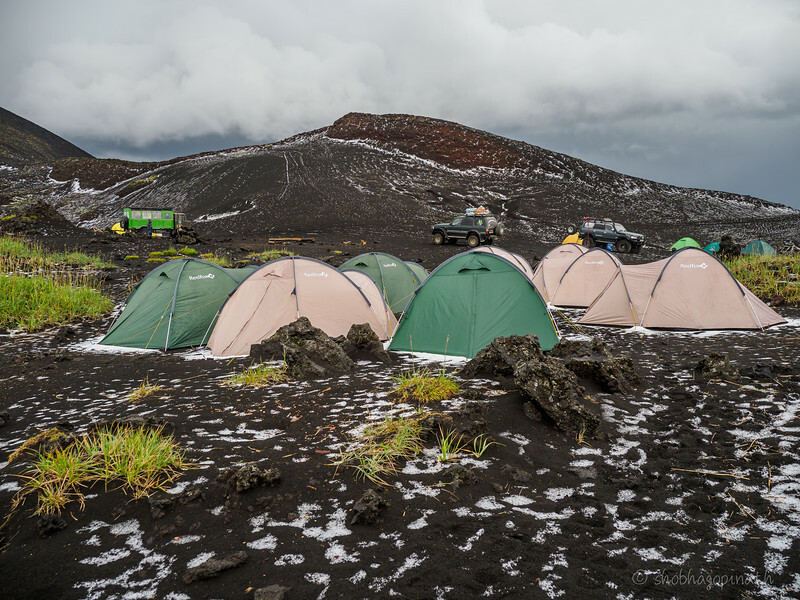 Base Camp 3 was located in the middle of bear country and protected by an electric fence. The first order of business, even before we made it to our tents, was a safety briefing. Frankly, I don’t think the electric fence was to keep the bears out – it was more likely to keep the humans in. The next two days would not only be the highlight of our trip but the most surreal experience of our lives. 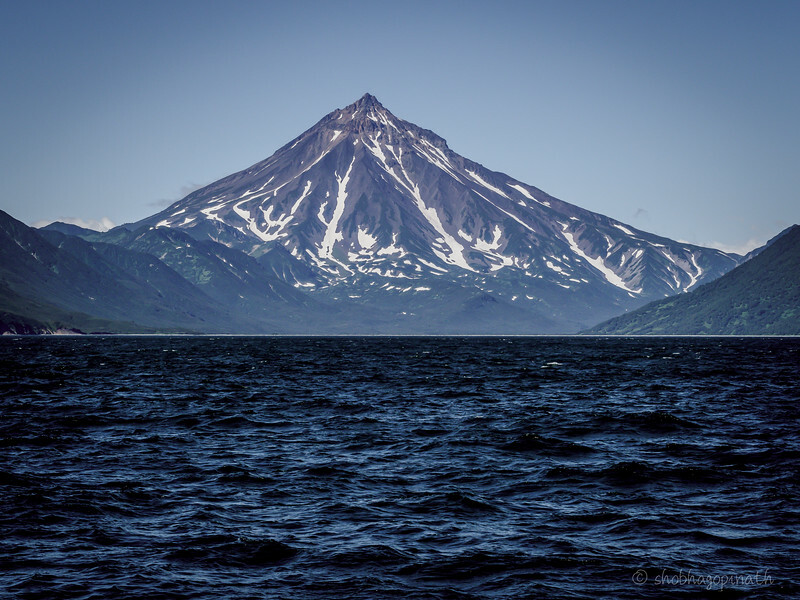 We were taken by boat on the Kuril Lake which is considered one of the largest salmon spawning areas in the world. It is a crater lake and volcanic heat keeps it from freezing. 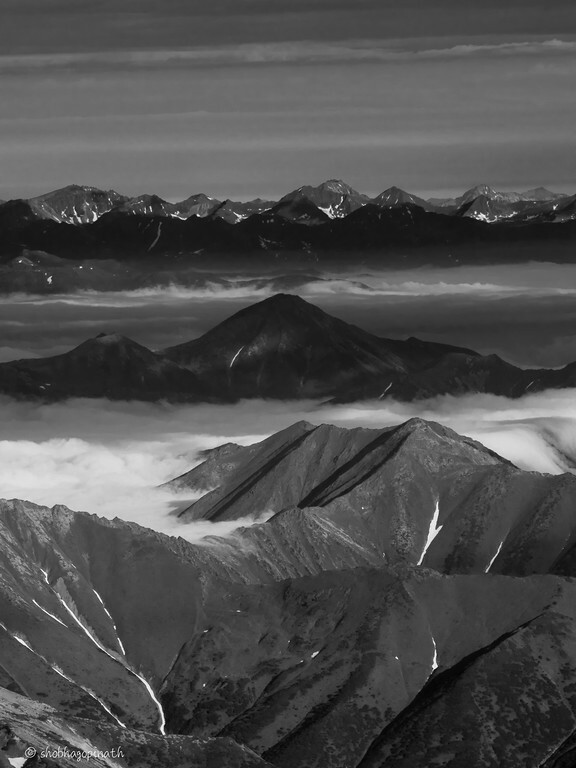 The mountains surrounding it were cloaked in mist, casting a dream-like moody atmosphere. We were taken to a remote spot and dropped off on a sandbank. All around us were bears. We were accompanied by 2 armed rangers and the more senior one warned us that his instructions were to be followed closely. 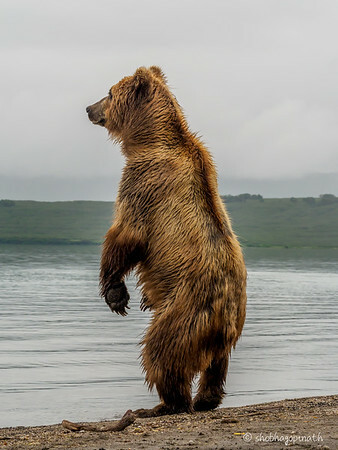 If a bear showed signs of approaching or passing near us, we must on his instruction of “Back, back” walk backwards slowly without panicking and form a tight circle. If he felt there was any danger, he would call it off and get us out of there, he would brook no argument. And that was that. We put our lives in the hands of these rangers. I cannot begin to describe the feeling. 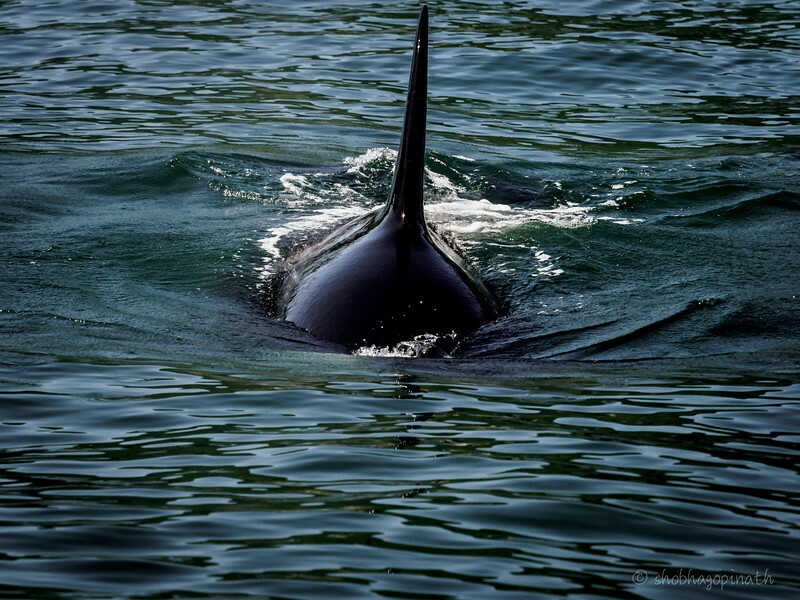 We stood in the open with no barrier between us and these apex predators. We were a curiosity and some gave us the side-eye, but not enough to approach us, their attention was focussed on more important things – fishing and feeding themselves. We had an unparalleled experience of watching these magnificent, even if frightening, creatures as they executed the kill with speed and precision. 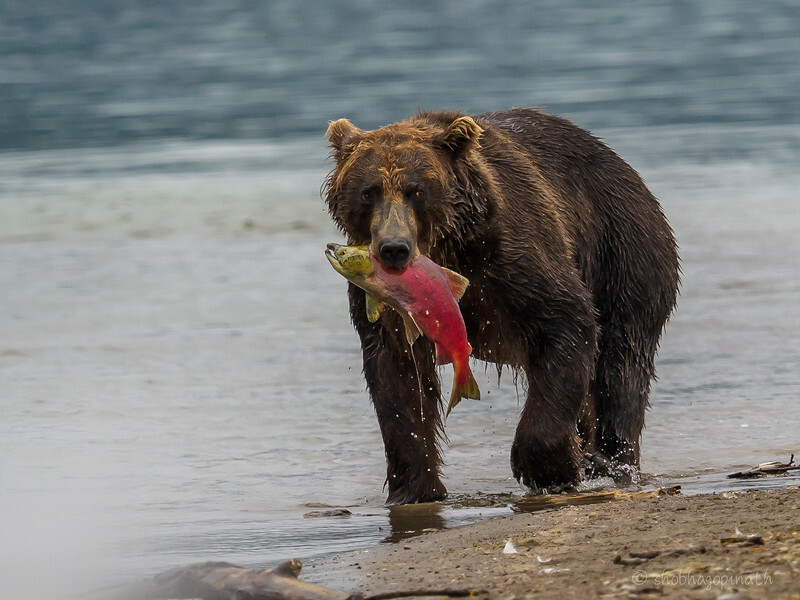 The salmon were plentiful and the bears were storing up for winter. They were sharp-eyed and swift in their execution as they pounced and deftly caught the struggling but soon-to-be stilled salmon. 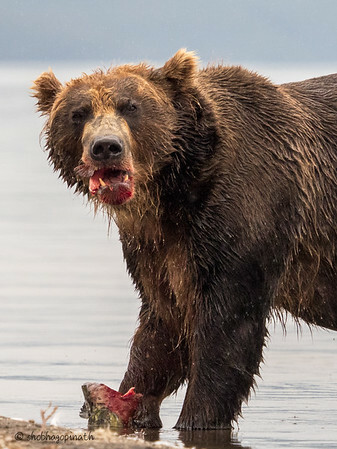 The sound of the crunch as they devoured the salmon still rings in my ears. 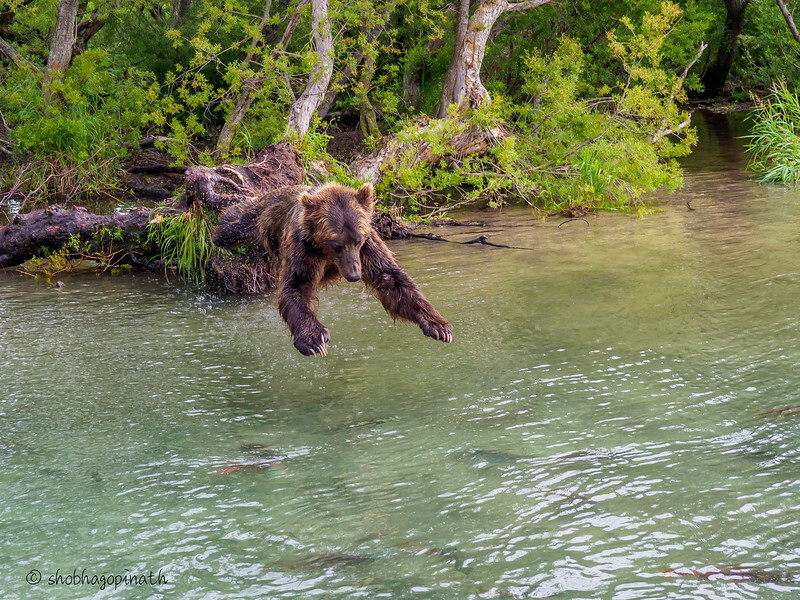 We saw bears sleeping, yawning, swimming, pouncing, standing, even fighting … everything except dancing. I was in need of a figurative pinch and turned to Penny and whispered – “this is unbelievable” and she echoed the same sentiment. We spent the rest of the day and all of the next day on this small sandbank, filling up our memory cards with image after incredible image of these bears in their natural habitat. This was not a documentary on tv, this was nature in the raw and uncensored right before our eyes. This also ranks as the most insane thing I have ever done in my life. There were many occasions when the ranger would instruct us to back away as bears would walk right past us. 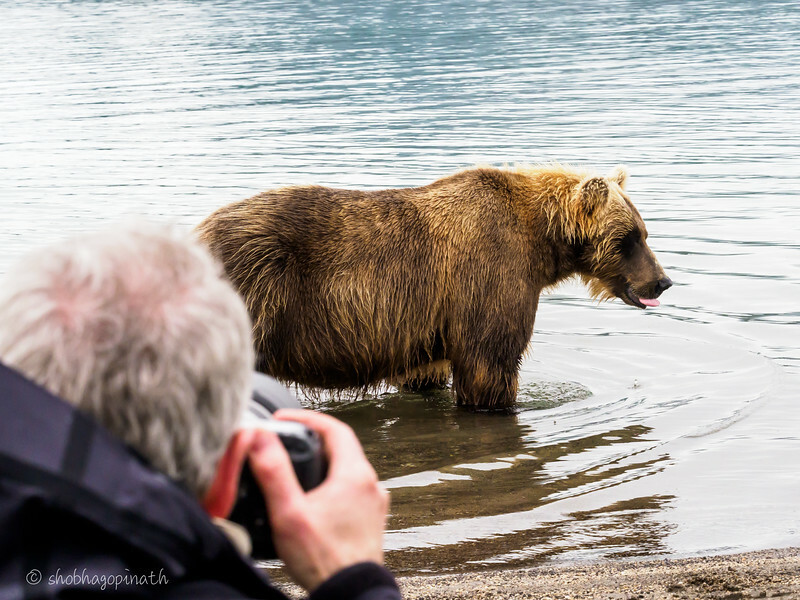 I’ll say that again – the bears walked right past us! When I think back now, I still have to pinch myself. I had weird ursine dreams for days. On our last morning, before taking the helicopter back, we got an armed ranger to walk us through the tiny village where Base Camp 3 was located. There were picturesque abandoned houses, a stunning volcano as backdrop, brooks and streams and interestingly a pedestrian bridge that was completely taken over by bears! ‘Pedestrians Beware’ has new meaning here. We walked down this bridge and once again watched bears fishing on either side and to top it all off – we saw a flying bear! We took the helicopter back, still in disbelief that we actually witnessed all that we did. The next morning we set off for the ice-caves of Mutnovsky. If we thought our earlier road trip was bad, we were to learn today what a really challenging road trip was all about. The terrain was bleak, grim, inhospitable and desolate. It was rainy, slippery and slushy and later worsened with gale force winds and blizzard-like conditions. We got to Mutnovsky and bravely made the descent to the entrance of the ice-cave. I was just glad I was not transported by the wind to someplace else. It was an herculean effort to keep from being swept off the ground. 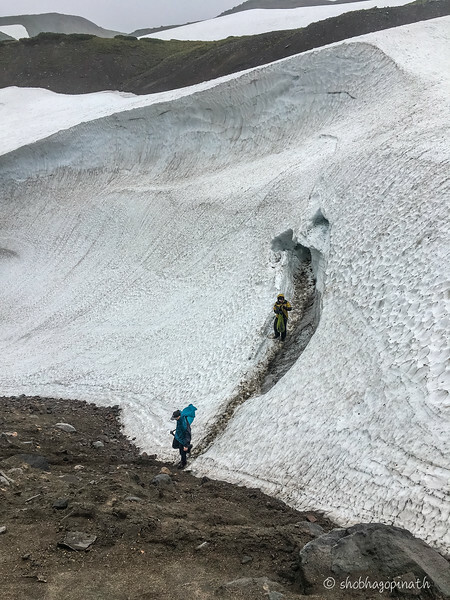 Unfortunately for us, the conditions were too dangerous to make a cave exploration as the entrance was almost completely snowed over. We were in the hands of Nature. We gamely walked to a nearby waterfall as a concession. The winds were piercing and freezing cold. 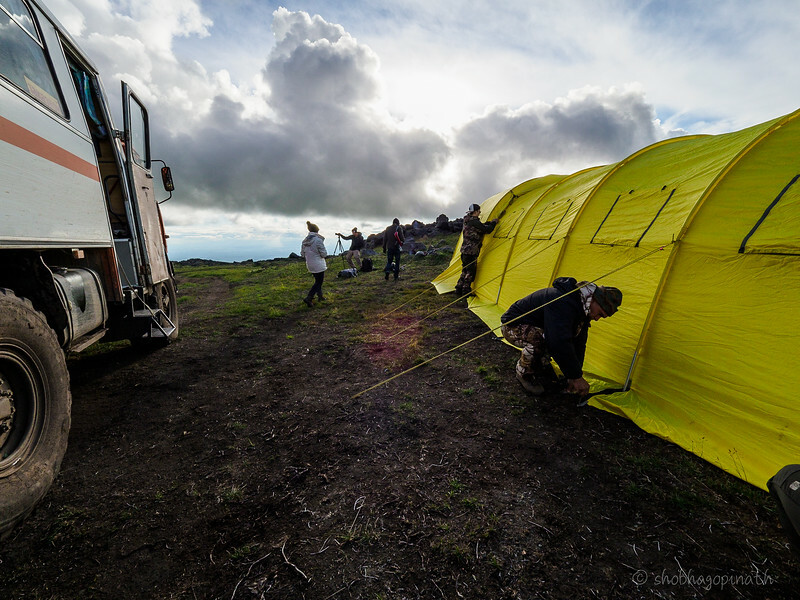 The weather in all of south Kamchatka had turned and all hikers and campers were desperately looking for shelter. To be outdoors at this time was too treacherous. A dilemma. We had to find shelter or we would have to camp in the thickness and cover of a forest. Denis, our local guide managed to find us shelter in a village gymnasium. We had to drive another 5 hours in those conditions to get there! In an impressive display of driving skill, George, took us safely through. We entertained ourselves with music and sing alongs. At one point George announced that it was 18.18 in the evening of 18.8.18. And so it was that we ended up camping indoors in a corridor in a village gymnasium for two nights. At least we were warm, had shelter and great company. It is no exaggeration when I say at this point we were all fast friends. We opened a door off our camping corridor and found a hall with chairs and a screen stretched across the stage – a makeshift cinema! It even had a projector room. Everyone looked through their computers for movies and it was settled that the evening entertainment would be the old Morgan Freeman movie “Along Came a Spider”. We were hysterical with the bizarreness of it all. What else do you do when there’s an Act of God? By the next evening we were suffering from cabin-fever. The weather cleared a bit and 3 of us went out for a walk in the village that was hosting us. There wasn’t too much to see. We made it out and back safely to our hotel in Paratunka (and Sade’s “Sweetest Taboo” was still playing!). 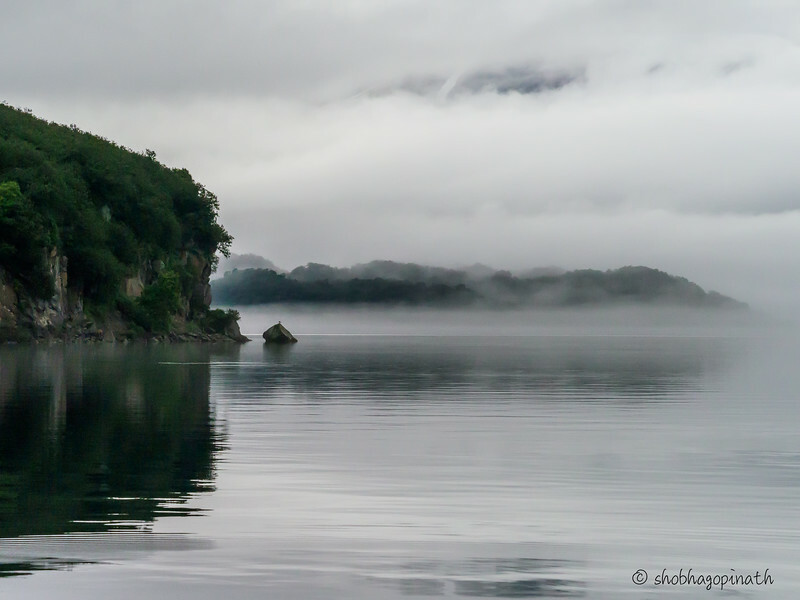 The next morning we went on the fourth and last part of our epic journey – a cruise on Russkaya Bay. 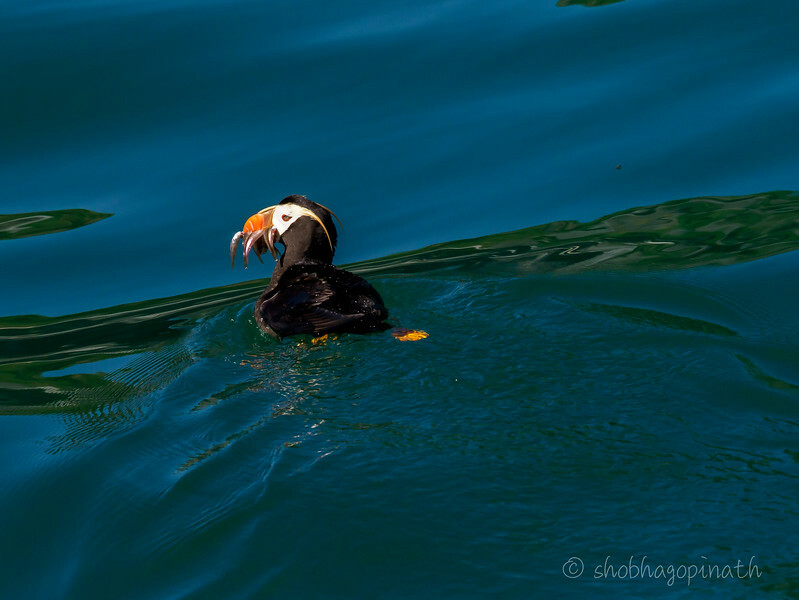 It was another first for all of us – we saw puffins and orcas! We were so gleeful. Puffins are tiny birds that are notoriously difficult to photograph (They only measure about 30 cm from the tip of their beak to the end of their tail and stand at about 20 cm), what more when you are standing on a boat, bobbing up and down on choppy waters. 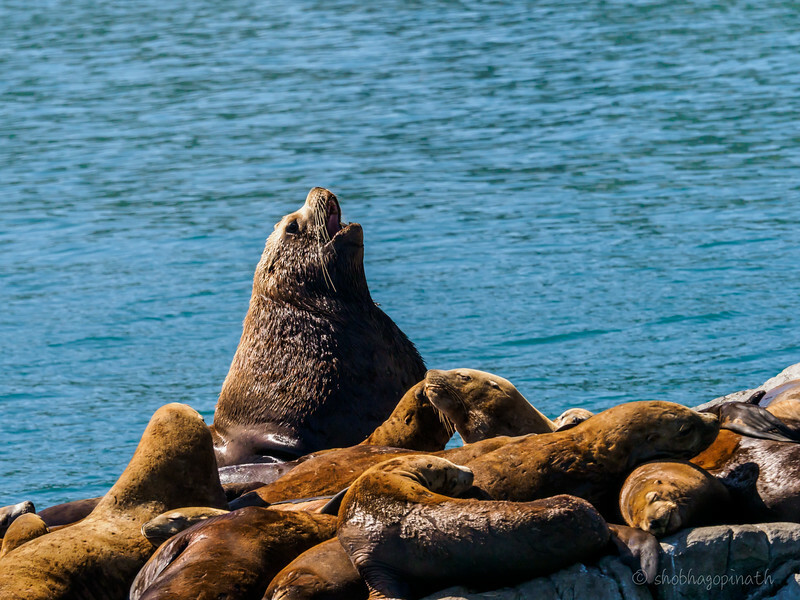 There was a veritable array of birds and animals – seagulls, seals, sea lions etc. The winds were chilly and bracing, only the strong and very determined stood out on deck throughout the 8 hours that we cruised. There were two notables of our group that did so. We docked in the late evening and had our farewell dinner at a lovely restaurant in the outskirts. By the time we got back, there was only time for quick farewells, packing, shower and sleep. Mine was the first flight out in the morning. We may not have experienced all that we had set out to to see but what we did experience will stay with us forever. As Marc said, often people look at an image and remark how beautiful it is, not realising what it took for the photographer to capture that image. Well, we made some beautiful images and this is our back story. I couldn’t have asked for a nicer bunch to travel with (or be cooped up in a gymnasium with). Thank you Oryx and the local ground team. 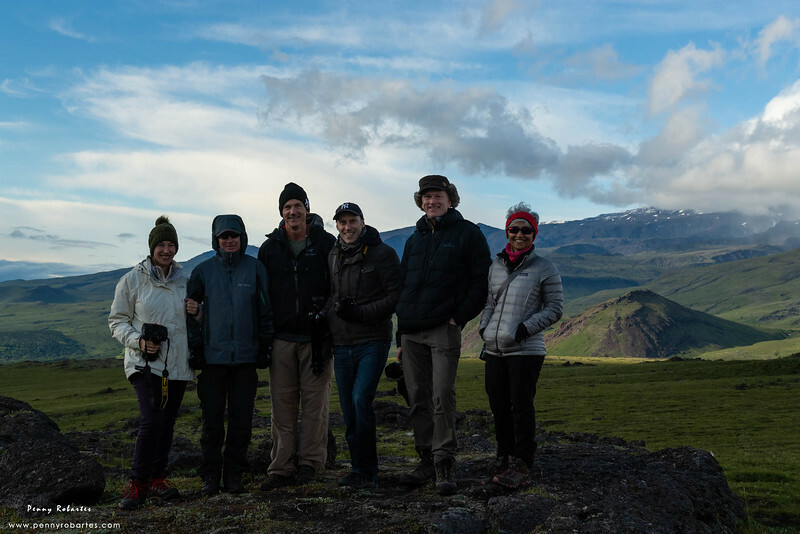 My fellow travellers, Penny, Greg, Tina, Pete, Marc and Wayne – you made this an amazing and unforgettable trip. September 3, 2018 in Russia. These photos are so beautiful and really unbelievable. Sorry that I just got to it. Shobha, everything is Wow!! You are so blessed to have this wonderful experience. Wow!! Wow!! Amazing piece Shobs, thoroughlly enjoyed it.Thanks for sharing. Amazing journey Shobha. Beautifully written and lovely photos! One can almost imagine being there minus the harsh weather, the proximity of the bears, and bumping around for hours on non existent roads.